Types of Pharmacy Errors and Prescription errors | Kennedy Hodges L.L.P. From the doctor, to the pharmacist, to your mouth; prescription errors can occur at every step. Sometimes it starts with a doctor's messy handwriting. Other times it occurs when the pharmacy tech places the wrong pills in the wrong bottle. 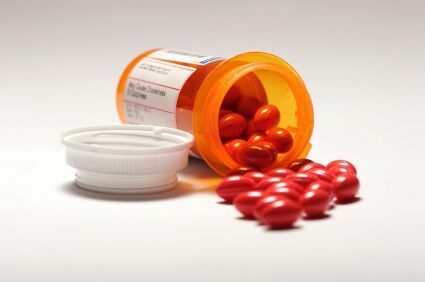 Pharmacy errors can occur at any point in the chain due to human factors (knowledge deficit, miscalculation, drug preparation error, computer information entered incorrectly, etc.). At each point, pharmacy negligence rears its ugly head. The following is a list of other types of pharmacy errors and information on recent studies of medication errors. There are some pharmacies that make, or compound, certain rare medicines or prescriptions that are not widely available from major chains like Walgreens or CVS. These pharmacies are not under the same regulations by the U.S. Food and Drug Administration like other large pharmacy chains are and this can cause disastrous consequences. pharmacy uses inadequate monitoring and measuring techniques. Adderall and Inderal - Adderall is a stimulant used to treat Attention Deficit Hyperactivity Disorder; Inderal is used to treat high blood pressure. Celexa and Celebrex - Celexa is an antidepressant; Celebrex is a painkiller. Lodine and Codeine - Lodine is used to treat mild pain and decrease swelling; Codeine is used to treat moderate to severe pain. Flonase and Flomax - Flonase is a nasal spray; Flomax is a prostate drug. Paxil and Taxol - Paxil is an antidepressant; Taxol is used to treat cancer. pulling the wrong medicine off the shelf. The number of medication error cases that are reported in the United States are just the "tip of the iceberg," according to the Institute for Safe Medication Practices. Studies have shown that the majority of pharmacy errors go unreported every year. The goal of every pharmacy should be to follow strict quality control systems in order to prevent medication errors. Unfortunately, the reality is that mistakes happen in these systems and pharmacies administering medication are not shielded in any way by errors. Computers miss 72% of dangerous drug-drug interactions! A study done of 64 pharmacies by the University of Arizona College of Pharmacy found that the computer programs pharmacists used to identify possible dangerous drug-drug interactions correctly identified only 28 percent of possible dangerous interactions. You can order our free book, "How to Make Pharmacies Pay for your Injuries Caused by Medication Errors" to learn more about taking action because of a medication error. You can then decide to call our board certified attorneys at 888-526-7616 to start your free case review. A pharmacy gave me the wrong instructions on some medication for my son, and he got sick. I needed legal help, and even though they were in a different state than where I live, they were able to take my case... Robin B.